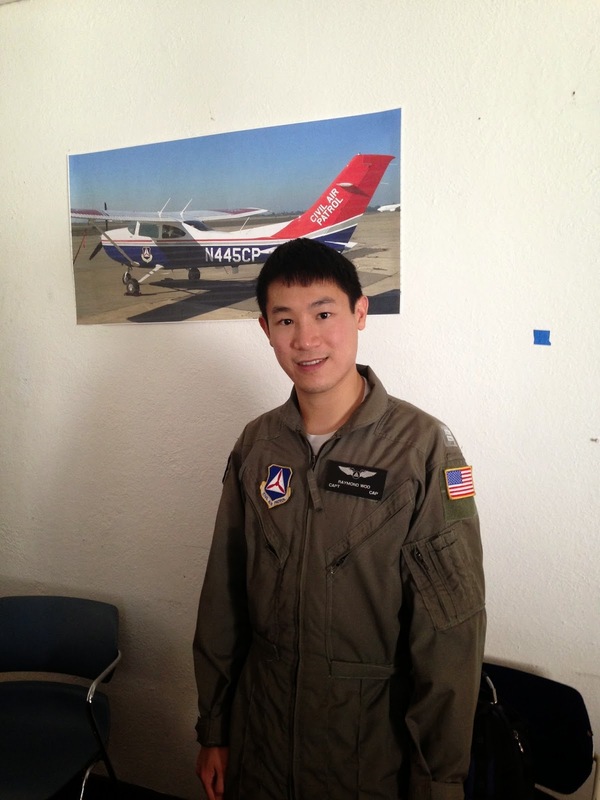 Squadron 188 - The Logbook: Congratulations to Squadron 188's 2 New Mission Pilots! Congratulations to Squadron 188's 2 New Mission Pilots! 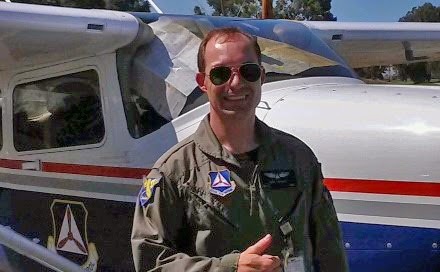 2d Lt Eric Choate following his successful Form 91 flight. Congratulations to Capt Georgios Michelogiannakis and 2d Lt Eric Choate! On August 23rd, both pilots were successful in their Form 91 evaluations and are now Squadron 188’s latest Mission Pilots (MPs). 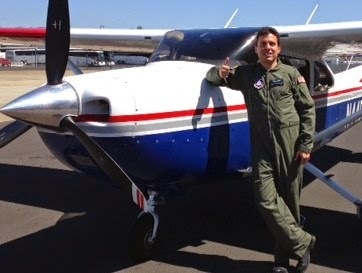 Both pilots trained at CAWG’s Mission Aircrew School (MAS) in Fresno in July. A big thank you to their mentor pilots at the MAS, who invested the time in helping Capt Michelogiannakis and 2d Lt Choate in their training: Capt Joshua Edwards from Squadron 10, Palo Alto, and Capt Thomas O’Connor from Squadron 5, Riverside. Special thanks also to Capt Ray Woo for serving as check pilot to both of our new MPs.